NGV Melbourne Events!! MOMA – Final Week MOMA & Friday 5th Saturday 6th October Events!! 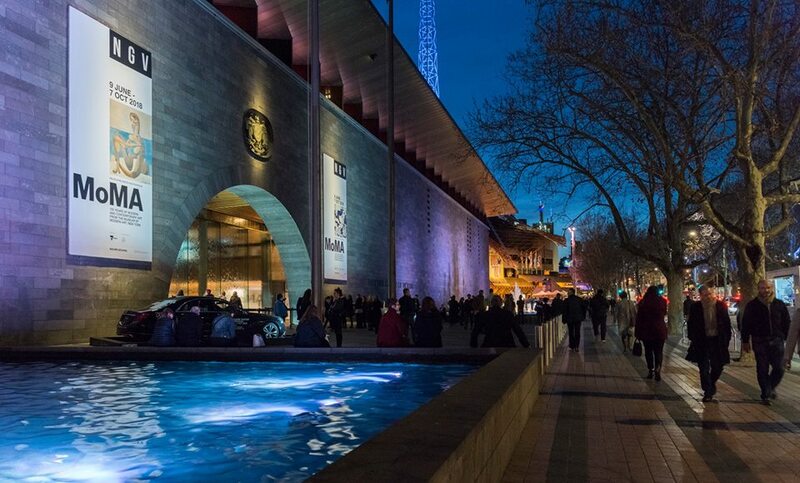 Join the last NGV Friday Nights for exclusive late night access to MoMA at NGV. Featuring Maurice Brown, experience art, music and dining inspired by the city that never sleeps. Early bookings recommended. Maurice Brown’s talent orbits him simultaneously through three worlds: contemporary jazz, blues-rock and cutting-edge hip hop. He is a mastermind as a trumpeter, composer, arranger and producer. On the closing weekend of MoMA at NGV enjoy a special encore performance by Brooklyn-based contemporary jazz trumpeter Maurice Brown. Experience art, music and dining inspired by New York, the city that never sleeps. Bid farewell to MoMA at NGV: 130 Years of Modern and Contemporary Art with late night access to the exhibition as part of our special after-hours event. Experience art, music and dining inspired by New York, the city that never sleeps, before MoMA at NGV closes on Monday 8 October. Early bookings recommended. AEGEAN SUN RELEASE “ULTRAVIOLET” AND ANNOUNCE UPCOMING EP ODYSSEY + FAVOURITE TRACKS! GRATIS MINDS BRING HEAT WITH NEW TRACK “STROLL” FT. BRONTE EVE & ANNOUNCE DRAPHT NYE SUPPORT SHOW + 10 hip hop tracks!